Prime Minister Yukio Hatoyama has returned to Japan after what appears to have been a successful introduction to the world in New York and Pittsburgh last week. The visit to the US may not have accomplished much in practical terms, but it did have symbolic importance, showing that the Hatoyama government will not shy away from speaking out on pressing international issues but that the government can also be trusted to manage Japan's relationships, most notably the US-Japan relationship. Now the new government's work will begin in earnest. 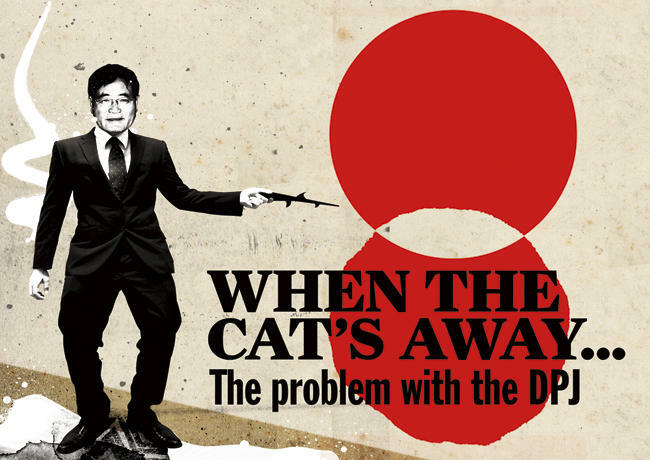 The DPJ-led government is, after all, less than two weeks old and its policymaking system has yet to make the transition from a set of orders and outlines to a working policymaking process. At the same time, the government also faces urgent policy questions, especially the matter of what to do about Japan Airlines. said that Kamei was speaking for himself and not for the cabinet as a whole. Kamei seems to think that each minister has clearly delineated turf over which he or she has undisputed power, a vision of policymaking that directly conflicts with the DPJ's plans for cabinet committees that will hammer out government policies. Appearing on TV Asahi Sunday, Kamei issued a direct challenge to the prime minister, saying that if Hatoyama is opposed to his proposal, then the prime minister ought to dismiss him. Hatoyama cannot delay any further in resolving the Kamei problem. I am still convinced that Kamei's antics stem from a desire to enhance his position in the cabinet given the ambiguities of his post, and that Kamei can be managed. The way to manage him is, of course, through the cabinet committees. The prime minister should ignore Kamei's demand that the prime minister dismiss him (he didn't say he would resign, after all), and convene a financial sector cabinet committee with Kamei, Fujii, and METI minister Masayuki Naoshima. The prime minister needs to stress that policy will be made through this system, not through an individual minister using the media as an outlet to announce his personal policy preferences. The same must go for the Basic Policy cabinet committee, comprised of Kamei, Deputy Prime Minister Naoto Kan, and Mizuho Fukushima, SDPJ leader, which is scheduled to meet for the first time Monday afternoon. It is unclear what role this committee will play in the government, but arguably Kan's task should be to marginalize it as a policymaking outfit, limiting its pronouncements to broad principles rather than specific guidelines for other cabinet ministers. Hopefully Kan and the DPJ can rely on Fukushima to isolate Kamei in the committee. The fact that cabinet committees are only forming now shows that it is too early to panic about the workings of the Hatoyama government. The government still has not set to work in earnest. Indeed, also meeting for the first time Monday will be a committee headed by Kan to review the compilation of next year's budget, the most important task facing the new budget. The task then for this week is to establish how the government will make its policies. As much of a nuisance as Kamei has been since the government took power, the damage has been limited and he can be bested simply by quickly getting cabinet committees in place to begin work on the government's legislative agenda for the forthcoming extraordinary Diet session — and reiterating that Kamei does not speak for the government. At the same time, Ichiro Ozawa, fresh from a trip to Britain, where he studied parliamentary administration, will have to pressure Kamei from another direction. The PNP caucuses with the DPJ in the House of Councillors, presumably giving Ozawa power over the PNP's five upper house members. If the DPJ can rely on the PNP's support in the upper house even if the government does not do as Kamei wants, Kamei will have a much harder time defying Hatoyama. One way or another, we should know more about how the DPJ-led government will work after this week.